The Canadian government will make it illegal for manufacturers to add artificial trans fats to their products. The ban, which was announced last year to give manufacturers the time to prepare, will come into effect on Monday, September 17. Experts have hailed the move as an important milestone in the country’s nutritional policy. Trans fat, also called trans-unsaturated fatty acids or trans fatty acids, are a type of unsaturated fat. There are two main types of trans fats found in food: naturally-occurring and artificial trans fats. Naturally-occurring trans fats are produced in the gut of some animals and food made from these animals may contain small quantities of these fats; examples include milk and meat products. Artificial trans fats are made in an industrial process that adds hydrogen to liquid vegetable oils to make them more solid. The industry uses cheap, easy to make trans fats in order to make food last longer, taste better, and look more appealing. Foods that contain significant amounts of artificial trans fats include pastries, french fries, doughnuts, frozen pizza, cookies, stick margarines, and popcorn. You can determine the amount of trans fats in a particular packaged food by looking at the Nutrition Facts label. 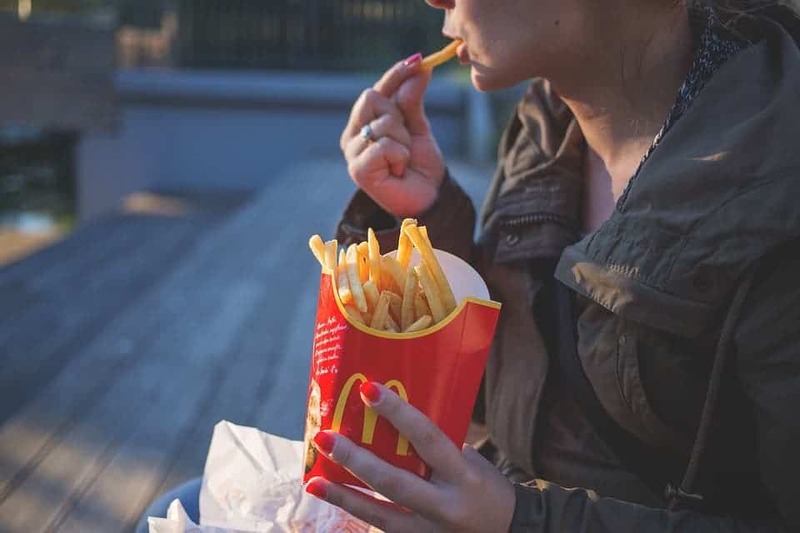 Artificial trans fats are particularly widely found in certain restaurants and fast-food chains because they can be reused to deep-fry foods over and over again in commercial fryers. In the 1990s, research began identifying the adverse health effects of trans fats. We now know that trans fats raise levels of low-density lipoprotein (LDL), or “bad” cholesterol in the blood, and lower high-density lipoprotein (HDL), or “good,” cholesterol. Research has found a link between eating trans fats and a heightened risk of developing heart disease, stroke, and type 2 diabetes. In 2015, the FDA deemed artificial trans fats unsafe because of their link to heart attacks. Then, on June 18, 2018, the FDA banned the ingredient from American restaurants and grocery store food items. Now, Canada has installed a similar ban on artificial trans fats, almost 15 years after a majority of MPs voted in support of it. “This is a very important milestone in terms of nutrition policy in Canada,” said Manuel Arango, the director of health policy and advocacy at the Heart and Stroke Foundation. According to Arango, the artificial trans fat ban could prevent 12,000 heart attacks over a 20-year period in Canada. Although manufacturers will not be allowed to make new food with artificial trans fats starting this Monday, that doesn’t mean Canadians will immediately not be exposed to them anymore. They’ll still be in already produced foods on store shelves across the country. Retailers will be given a grace period of up to three years to clear the inventory already on store shelves. Avoid eating commercially prepared baked foods (cookies, pies, donuts, etc. ), snack foods, and processed foods, including fast foods. When foods containing partially hydrogenated oils can’t be avoided, choose products that list the partially hydrogenated oils near the end of the ingredient list. To avoid trans fats in restaurants, one strategy is to avoid deep-fried foods and desserts. You may be able to help change these cooking practices by asking your server, the chef, or manager if the establishment uses only trans fat-free oils and foods.